Cryptocurrency market is developing and increasing its demand. This market is considered to be the next financial or stock market that makes trading more exciting. It replaces the hype of the usual stock market because of the presence of Bitcoins and Altcoins available. Altcoin is one of the rising currencies in the Bitcoin space. Its value is lesser than the actual Bitcoins yet functions the same as them. Once a user is able to obtain or purchase Altcoins, they can use it for trading rather than for buying products and services on the internet. Buying and trading Altcoins is similar to the operations in the stock market. Hence, there are also schemes that Altcoin traders often try and follow. One of these is the pump and dump market scheme. The pump and dump market scheme is borrowed from the usual stocks trading. It is one way of promoting stocks or Altcoins, to be purchased or traded by consumers. To perform such, trading Altcoin requires a huge investment not just in value but also in a person’s effort and time. What are a Pump and Dump? Pump and dump in Altcoins involve boosting the price of the cryptocurrency. It is often based on misleading or exaggerated statements on Altcoins, to sell their cheaply purchased cryptocurrency at a higher price. But not all pump and dump scheme can be considered illegal. Some pump the value of an Altcoin and maintain it like how it is supposed to be. The pump and dump market is being played by two users. One is those who buy cheap Altcoins and eventually endorsing it in a higher price possible. They create a hype in the market to sell the cryptocurrency ideally with the elevated amount from its original one, referred to as pump. Furthermore, the said hype can give the selling Altcoin the momentum and further increase its value. Once its value increases, schemers will dump or sell the cryptocurrency. People will begin to panic and buy Altcoins because of its perceived high value. A typical Altcoin user who panic buys the cryptocurrency will eventually realize that its value is plummeting. Thus, it is the best example of the usual pump and dump market scheme. Buying patterns can be easily observed. 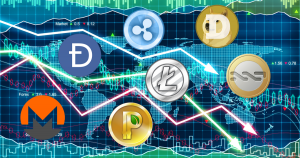 An Altcoin being groomed in the trading market denotes a movement of high, low, and vice versa. Falling and rising of its current price can also mean that the cryptocurrency is being pumped and dumped. Pump and dump traders usually do not function alone. They have several Altcoin trading accounts with connivance from other traders to further increase the value of the cryptocurrency. This tends to look more real for the trading and viewing public. Thus, making them feel that the selling is valid or legitimate. On the other hand, there traders who help in creating and boosting the hype of the pump and dump process by exaggeratedly talking about the prospected Altcoins. In effect, they promote them to other traders and make it look that they have a good deal. The usual phase of pump and dump can happen in just seconds or minutes – slightly the same with how the stock market works. Once a trader buys Altcoin groomed for the pump and dump, he will notice a declined in its market value. To save just a little bit of what they bought, they will sell the cryptocurrencies they purchased in a price way cheaper just to get rid of it. These fundamental principles in the pump and dump market are always what it is. Sometimes, its operations may be somehow different. However, the outcome will still be the same. Also, it is better to study the whole cryptocurrency trading market first before getting into the business. This will give a potential trader a walkthrough and rundown on how it is like during the actual trading. This will also give an opportunity to observe the changes before making any trading decision. Knowing the fundamentals is just the first part. Yet, you must have a vision of how it is done to get a grasp of how vicious the Altcoin trading market works or can get. ‘Day Traders’ as they are called, are those who watch and analyze the Altcoin and other cryptocurrencie’s movement. They work the same as stock brokers or stock enthusiasts. They make a living just by telling a trader if their prospected Altcoin stock is authentic and not a pump and dump type. ‘Day Traders’ can explain the signals and read signs just like foreign exchange traders do. Further into their so-called ‘job descriptions,’ they can even do the pump and dump market scheme. Given that they are knowledgeable in the cryptocurrency trading market and they know the tricks and other ways for traders to panic buy, they are also being paid to execute pump and dump. Others use bot in Altcoin trading. It is better to know first what the effects of these bots are, so traders won’t turn out deceived with how the Altcoin value finishes. To pump Altcoins, it is recommended that you have hundreds of dollars in Altcoin value. This is so your cryptocurrency can appear more scented in the trading market. Pumping Altcoins are often done by people who want to gain profit. Day Traders are the best examples. They can do the most basic trading from buying low to selling high. Often, they choose smaller Altcoins, accumulate more of it, and wait for its value to increase. Once done, they even buy the cryptocurrency from themselves to elevate its value or pump its price. An Altcoin being pumped remains its original value, what makes traders panic buy is the ‘marketing’ that goes with it. Day Traders make the Altcoin look lavish by promoting it and boosting its hype. Pumping cryptocurrencies is just a win-lose situation. If a buyer would not be attentive and vigilant on how the Altcoin process is going on, he might fall into the trap and eventually realizes that the Altcoin value has turned to zero. 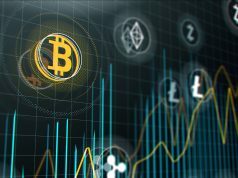 In pumping, Altcoins are big in the cryptocurrency trading market. A trader needs to follow others doing the same deed to or else another trader can hit and drown the pumping. To pump, self-buy is possible and recommended – this what we refer to as ‘buy support.’ It also depends on you how many percentages you want to pump the price. This way, you can fully control what goes out and make the Altcoins stable at its pumped value. The formula goes: ‘buy support’ price VS ‘price of your entrance’ VS ‘final coin price.’ To achieve the result of the formula, a trader must be keen to choose how much his investments would be and also, how much he is willing to lose. It is highly recommended to stick to the trade. Do not add cash or more value further to the trading to fully monitor how the pumping works. In this way, the analytics will be easier to read and understand. 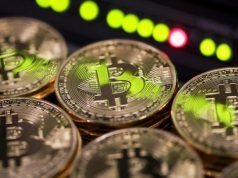 Cryptocurrency trading works 90 percent similar with financial or stock market. To get the most out of your cryptocurrency investment is to invest and choose good Altcoins, pump up their value, and keep it up there. Consistency is the key to hit the Altcoins’ full potential. In this process, the trading market ecosystem will be stronger, and Altcoin trading scammers will stay away. Eventually, if the Altcoin market is doing good, there will be no room for these scammers to operate. Invest time and effort in knowing the overall trading market. Getting into trading can mean huge money and can bring so much excitement. Though, it pays to invest time and effort in knowing the overall trading market and how they operate especially for a first- time trader. Familiarize the terms. Knowing the language can take any aspiring trader to a full understanding of the business. The language of financial or cryptocurrency market can be somewhat alike yet, it still pays to know the differences. Never invest what you cannot afford to lose. Investment is always a risk. Of course, any trader or an aspiring one would want the best but must expect the worst to happen at any given time. Investing Altcoins in a pump and dump scheme cannot always mean a win. And, simply selling cryptocurrencies does not always mean a loss. Take advantage of any opportunity when it comes to trading. To be able to make the most out of the trades, it pays to take advantage of any opportunity that may arise. This will open new doors to a bigger buy or sell. Be wise. Do not be naïve in admitting that something is going quite wrong. Many traders would be in denial that they are losing quite a sum of money and value while trading. Yet, being honest about it can open new ideas and concepts. Know the enemies. Being vigilant and attentive in trading can save a lot of money. Know how to point out adversaries in trading to skip out scammers and opportunists. Protect the value of an investment. All Altcoins and other cryptocurrencies are an investment; therefore, any trader or aspiring ones must protect that value of its interest. Be updated. The cryptocurrency market is a fast-paced platform that changes every single time. A smart trader should know the latest and/or updates on what is going on in the market. This will help him during his next move – whether to buy or sell, pump or dump. Always try to do it right the first time. To minimize mistakes and wasted invested, a potential trader must know how to do it right the first time. This can be achieved by making conscious efforts in knowing the trading market and how it functions. Get allies. Getting people that share the same belief and passion is crucial yet very beneficial especially to the point of a start-up. Cryptocurrency trading is also considered a business, so it pays to have partners and confidants to be successful on the craft. Pump and dump market scheme in any trading platform happens. This is a good point to also start taking good precautions and knowing the risk in any investment. For aspiring traders in the Altcoin field, knowing the fundamentals is the first step even before making their first buy. Knowing the interest of the trading market and balancing it with the trader’s interest can be crucial. More often than not, it cannot be as balanced; yet opportunities to maintain a healthy trading ecosystem to drive away scammers are always available. Knowing the marketing operations and its people is the best way to engage in any trading or business decision. There will always a risk involved, but it is worth the try. Altcoins are growing investment anyone can consider in widening their horizon – network, market value, and money. Keenly observing the patterns can help further understand changing Altcoin prices and value, worthiness of investment and trade, and how cryptocurrency trading is better than any other trades. Is Bitcoin Really as Private as People Say It Is?